So, after nearly three weeks of travelling abroad, I am back home. What a fantastic holiday! How WONDERFUL to be home! The first 10 days of our holiday, we took a trip from Sydney to Adelaide, in Australia. The last part we spent with our family. On the Sydney to Adelaide part, it was really easy to follow the Banting (LCHF) lifestyle, the last part was a bit more difficult because there were a lot of festivities and I wasn’t in charge of the meals provided. Years ago I made this decision: When I am at home, or when I am in charge of my meals, I shall eat according to my meal plan, but, when I am with other people who serve the food, I shall eat what they give me, even if it is not 100% part of my meal plan. Sometimes there are choices, sometimes there is enough LCHF food to eat, but sometimes you have to choose to be a bit more lenient. In the first part of our holiday, we had lots of cheese, almonds (my mouth is still sensitive because of all the hard almonds that I had to chew! ), salami and tomatoes. Sometimes we bought a cooked chicken or had a steak with salad. We never had breakfast in the hotels, bacon and eggs were at least A$15 (R155+! ), so that was never ordered. Oh, I missed my eggs in the morning! Once I declared that when I return, the first thing that I would make myself, was three eggs! While we were with the family, I had the privilege to bake eggs, so the craving wasn’t so much anymore. But when I returned yesterday, the first thing I did was getting some lamb cutlets, the fattiest cutlets that I could get, and cooked a cabbage stew! Oh, that was good! I couldn’t get enough. I sucked out all the marrow, I enjoyed the fat. WOW! It’s good to be home! It’s good to be Banting and to enjoy life’s goodness! Cook fatty sheep cutlets with only a little bit of water, very slowly until tender. Season with salt, pepper Worcestershire sauce and a bit of chutney. Add onions, garlic, and cabbage. Stew slowly until the vegetables are soft, don’t stir unnecessarily. And once again, thanks to LCHF, the scale is still my f r i e n d !!! LCHF is TOPS! 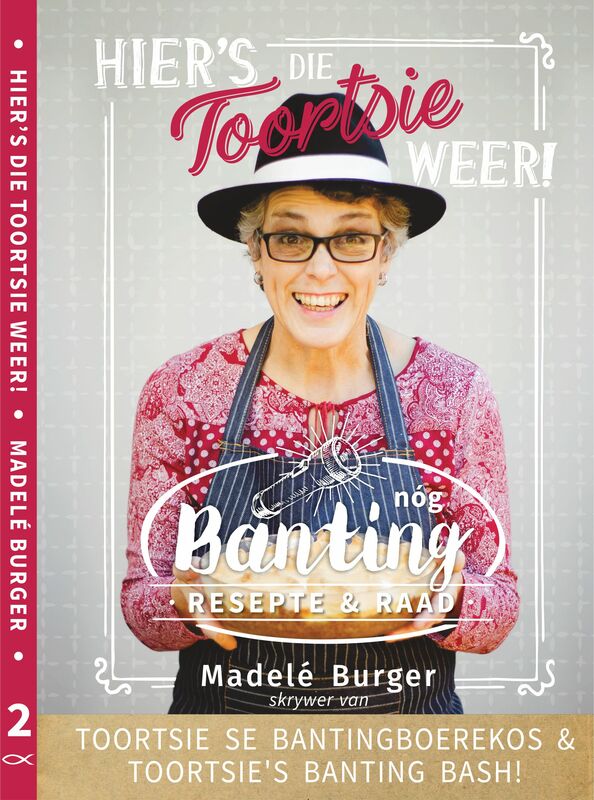 Mooi foto Toortsie.Jy moet gaan vir ‘n oudisie vir ‘n karakter in ‘n film of toneelstuk.Ons bly in die land van melk en heuning en ons geld beteken vir ons iets hier,meer as oorsee.Geniet die dag.